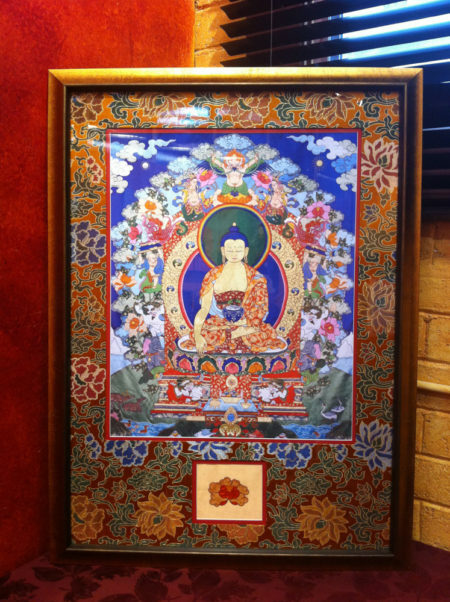 Framed Fine Art Print of Leslie Rinchen-Wongmo’s original 1997 silk appliqué thangka of Buddha and the Six Supports. Embellished with Hand Stiched Flower. 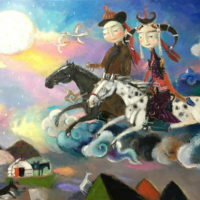 Frame Dimensions: 39″ x 29″ (99×74 cm). Shipping for this original artwork will be calculated depending on the shipping address provided and billed according to actual cost. This cost will not be added to your cart at this time. A separate invoice will be sent after the actual cost is determined.